Country blues still alive and kicking in Mississippi. There’s no sugar-coated way to say it: When we talk about traditional country blues performers today, we’re generally talking about senior citizens. And the subjects of Daniel Cross’ documentary I Am the Blues are indeed mostly in their 70s and 80s. But that doesn’t mean they’re dead, and in the Mississippi Delta, where writer-director Cross and his crew filmed, blues is such a part of the culture that no one, young or old, thinks twice about joining in; they just do it, out in the front yard or in a tavern or even in church, as naturally as breathing. There’s nothing self-conscious about it. Our guide is Grammy-award-winning singer-guitarist Bobby Rush, who used to dream, while picking cotton, about being on stage with Chuck Berry or Cab Calloway. He made his name in Chicago starting in the ’50s, playing for hamburgers in clubs at first but later headlining. Now he’s back in the Delta, and the camera follows him around as he drops in on his buddies in the towns of Como and Tutwiler, Miss. (“owned and operated by Blacks”). Anyplace that has Robert Johnson on a barroom jukebox knows exactly what the blues is. A few of Rush’s contemporaries also made the charts. 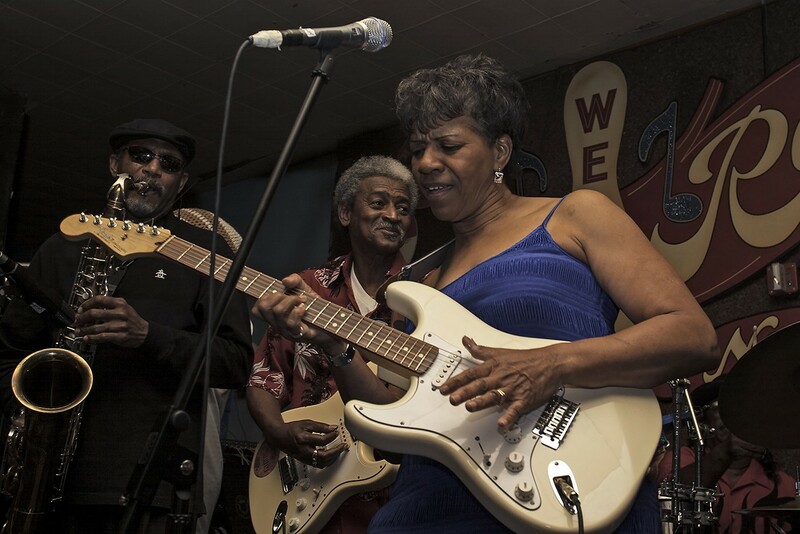 Barbara Lynn, with her blistering left-handed guitar style and penetrating voice, sings her hit “You’ll Lose a Good Thing.” Paul “Lil’ Buck” Sinegal from Lafayette, La., plays his zydeco and blues with polished professionalism. Jimmy “Duck” Holmes, who operates the oldest surviving juke joint in Mississippi, the Blue Front Café, happily launches into a cover of Skip James’ “Devil Got My Woman” on his front porch. Cross’ camera unobtrusively hangs out and observes. His laid-back slice of the blues life is reminiscent of the work of the late Les Blank, or of Bruce Ricker’s The Last of the Blue Devils — candid, unrehearsed, warm-heartedly folksy. When guitarist Little Freddie King shows off his leopard-print saddle shoes, or Lazy Lester goes into a cover of Merle Haggard’s “Sing Me Back Home,” or Rev. John Wilkins performs his father Robert Wilkins’ “Prodigal Son” (for which the Rolling Stones originally neglected to credit him), we might as well be sitting in that church pew. The music is ingrained in the landscape, and this movie takes us there.